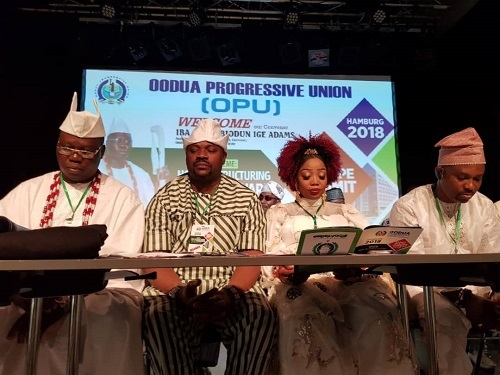 The Aare Onakakanfo of Yoruba land, Otunba Gani Adams, has said it is time for Nigeria to be restructured adding that it is time for the Yoruba nation to adopt a new paradigm shift, taking into consideration all the issues that affect Nigeria as a nation. 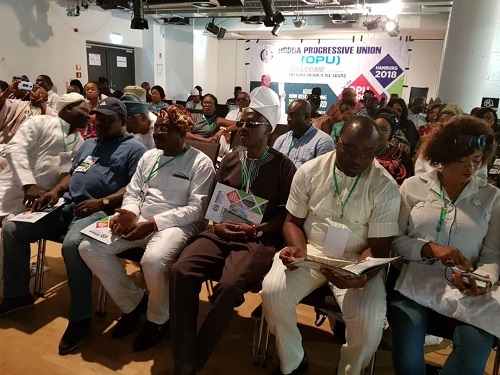 He stated this while speaking at a two-day Summit and interactive session of the Ooodua Progressive Union (OPU) in Hamburg Germany. “As the 2019 general elections draw nearer, there is the need for the Yoruba to adopt a new paradigm shift,” he said. “The word, restructuring, simply means reorganization, not disintegration. Our position on this is clear and that is Nigeria cannot afford to isolate itself from the rest of the world. For years, patriotic Nigerians have been agitating for restructuring, but a few elements in the country are against it. As far as I am concerned, those calling for restructuring should not be seen as enemies of the state but partners in progress.’’, he added. Adams frowned at the desecration of the sanctity of the traditional institution by some people who, he said, arrogate to themselves the position of a Yoruba Oba in the Diaspora. Aare Adams, who had earlier met with the Nigeria Ambassador in Berlin, Mrs. Mobolaji Sakirat Ogundero, said part of the contending issues discussed at the summit included restructuring of Nigeria, as well as decentralization of both security, monetary, education and infrastructure, which allows the federating unit to develop at their own pace. All members of the group from across the 84 countries in the world, as well as other prominent Yoruba groups, were present at the Summit. President of Isokan Omo Yoruba in Germany, Chief Adewole Albert, was also in attendance.